The CoffeeShop Blog: CoffeeShop Photographer Storyboard #39: 8x10, for Print or Web! CoffeeShop Photographer Storyboard #39: 8x10, for Print or Web! Today I have a lovely new 8x10 storyboard for print or web. 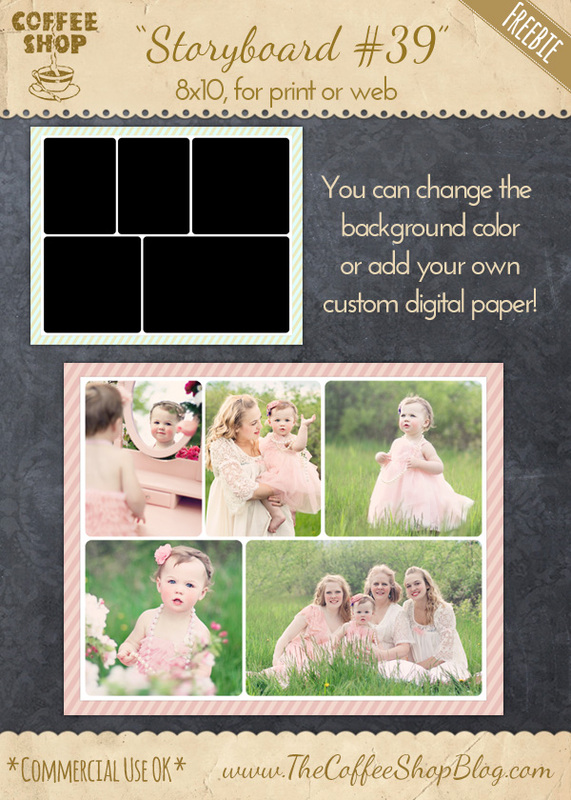 Add your images by clipping masks (tutorial and free action), customize the color of the stripes and white background, or even add your own digital papers/textures behind the images. In the example above I used some beautiful images from Jill Wellington (Etsy Shop, Facebook, Blog, YouTube Videos, Pixabay). 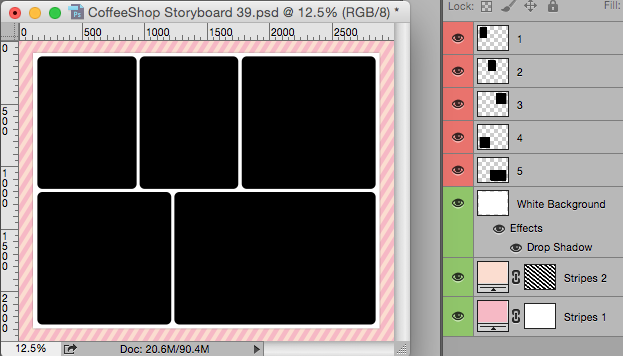 In the original storyboard all of the pinks in the images did not match (they were peachy pink and bubblegum pink). I have posted an editing tutorial showing you a simple technique to make all of the pinks the same, read it here. The top five layers marked in red are the clipping mask. The layers marked in green are the stripe colors and white background. Download the CoffeeShop "Storyboard #39". You can also download it here. I love this one because I love PINK! Thanks, Rita! Honestly, your gorgeous images make my storyboards look good!! !